Over the past few years we have listed a series of posts titled: “Great Headlines Speak For Themselves,” with the first line being: “The best headlines need no commentary.” However, in some instances history would prove other headlines to be grossly understated. Such is the case of the headline on one of the most desirable newspapers reporting the horrific murders which would eventually be attributed to Charles Manson and some of his followers. 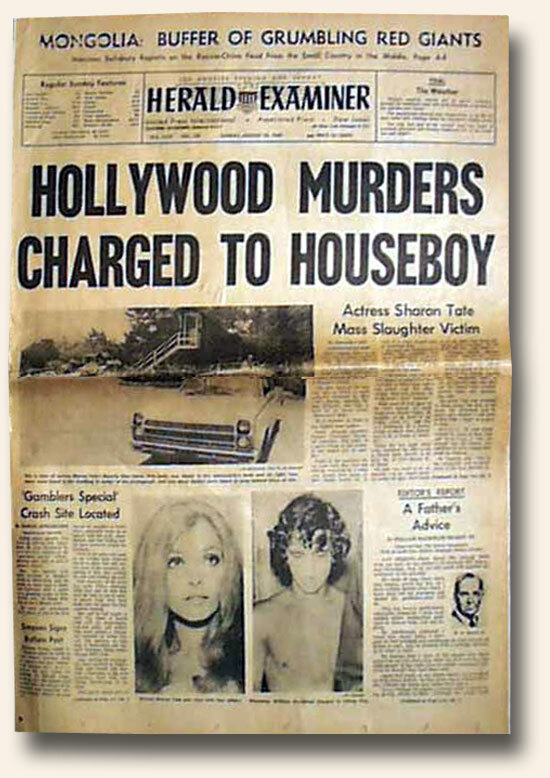 While still dramatic, the initial (false) implication of the house pool boy, relative to the actual truth regarding the murders, deflates the historical impact of many “1st-report” headlines as illustrated in The Herald Examiner, Los Angeles, August 10, 1969.